Oh, what fools these Oxfordians be. There is this persistence in trying to pass the man above, Edward De Vere, 17th Earl of Oxford, as the "real" William Shakespeare, the actual author of the plays. There is this stubbornness to the Oxford Brigade (as I lovingly call them, among other things), these men and women who are absolutely convinced that the actor/producer of the Globe Theater could not possibly have written all the plays and sonnets that bear his name. Now, with Anonymous, we're suppose to have the low-down dirty truth: the glover's son is not the actual genius behind among other works Romeo & Juliet, The Tempest, King Lear, A Midsummer Night's Dream, or Hamlet. Instead, it's suppose to be the guy above. To say that William Shakespeare did not write the plays of William Shakespeare is to deny the credit to the rightful person (if indeed he did write them). It may not matter in terms of 'we still have the plays to enjoy', and if any conclusive, positive, incontrovertible proof exists that De Vere is the actual author of the works of Shakespeare, then it matters that the true genius be recognized. If anything, I'm big on giving credit where credit is due. However, from what I've seen and read, I find nothing that proves the charges of these Shakespeare deniers. Instead, what I found among the Shakespeare deniers to support their theory is nothing less than pure snobbery. I decided that the best thing to do was to do a little research in the matter. 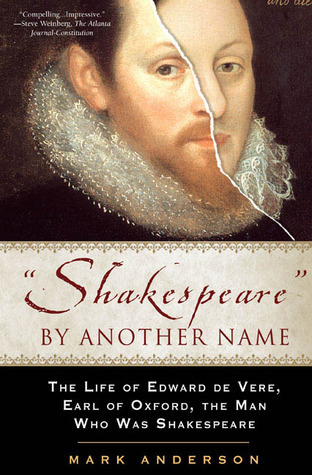 For that, I listened to the audiobook of "Shakespeare" By Another Name: A Biography of Edward De Vere, Earl of Oxford, The Man Who Was Shakespeare by Mark Anderson. It would be best to try to listen to both sides. Perhaps I was wrong, and the world was wrong. Perhaps De Vere was this true genius. As I listened, I became both disheartened and enthralled. From what Anderson and the Shakespeare deniers believe, their proof is purely coincidental. It goes like this: De Vere was in Venice, he had money troubles, and there were Jews in Venice, hence, he obviously wrote The Merchant of Venice. Again and again, Anderson and the Oxford Brigade gleams bits of De Vere's biography to fit the plays. The hunchback Richard III was obviously based on Richard Cecil, De Vere's brother-in-law. De Vere WAS King Lear. It's plain as day. From what I heard, the only proof they had was in how they tied points in his life to the writings. If we go by that standard, Agatha Christie was a serial killer. I think authors do put a little bit of themselves in their work, but if we accept the Oxford Brigade's hypothesis, De Vere was basically writing his autobiography. Curiously, that leaves little room for something required of all authors: imagination. D.) that the comparisons to Virgil and Socrates also subtlety show everyone knew William Shakespeare didn't write anything because we don't have any parchments or papyri in Virgil or Socrates' own hand, and neither do we have Shakespeare's own writings either. At the end of the book, I asked myself, 'when did this turn into the literary version of The DaVinci Code? Are these people serious, or have they gone so far off the deep end they read nefarious clues into the most mundane of matters? This bit about Shakespeare's own grave proving that Shakespeare did not write the Shakespearean plays is just stupid. There's no other word for it. Stupid. If that's the proof they are presenting, it be laughed out of court. Now, the big thing against Bill is that he was 'too uneducated' to have written on the matter of courts and kings. If we are going by that basis, I demand to see Robert Heinlein's Doctorate in Chemistry or Physics. James Ackroyd's Shakespeare: The Biography which I also listened to made the very strong case that Shakespeare, far from being the ignorant country boy Sir Derek Jacobi and his ilk believe him to be, was quite educated and had the appropriate education for his day. How many of us can read Ovid in Latin? Actually, how many of us read Ovid, period, let alone in elementary school? This was the type of education the Oxford Brigade insists was 'below par' to write the sonnets. Somehow, I doubt Jacobi or David McCullough read Latin for pleasure, let alone read it in school. If we go by that standard, then THEY, not Willie, are the uneducated ones. Now, at last, are my views on the matter. I love Shakespeare, and while I don't consider myself of an elevated social position or of greatly-elevated intelligence, I have never had difficulty following Shakespeare when I see it on stage or screen. Granted, the language is a bit foreign to modern ears, but it isn't hard to make out what the characters are trying to say. 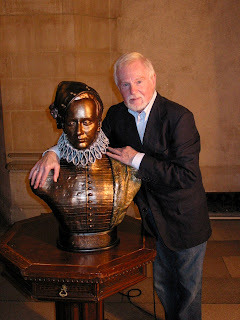 As a lover of Shakespeare, I believe William Shakespeare, actor/producer, is the author of the plays of William Shakespeare. 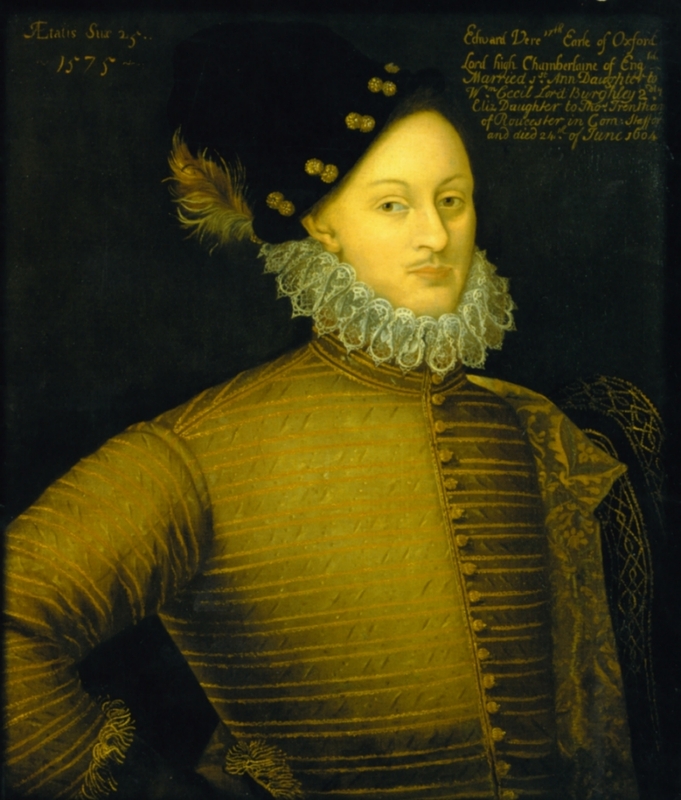 We don't have proof that Edward De Vere actually wrote the plays: no manuscripts, no literary turns of phrases from the few works definitely acknowledged as De Vere's to those credited to Shakespeare. 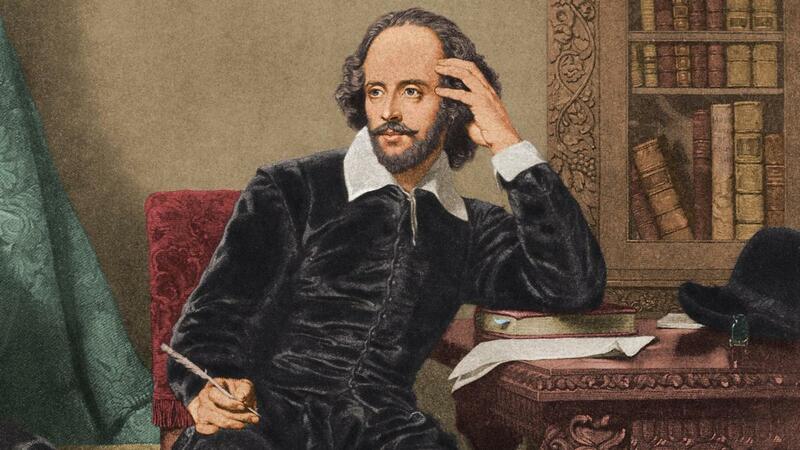 William Shakespeare wrote William Shakespeare. I think the mission to deny him credit for his extraordinary body of work is a result of our modern-day obsession with conspiracy in the same way people still refuse to believe that John F. Kennedy was assassinated by Lee Harvey Oswald and that Oswald acted alone. There are people who believe the Lunar landing was done on a Hollywood stage and the Diana, Princess of Wales was murdered. People are free to believe whatever they wish, but they should be relegated to the 'nutter' category if they can only come up with conjecture, not solid proof. In the few law courses I've taken, I learned that absence of evidence is not evidence of absence. This is where the Shakespeare deniers excel: they don't have any actual proof that De Vere wrote anything other than what has been established to be his, so they argue that the very lack of evidence is proof. At the very least, they make grand excuses for their lack of evidence: he wasn't recognized as the true author because it wasn't done in Elizabethan society (so why not reveal himself during the reign of James I? Oh, right: he's dead within a year of James' ascension to the throne). My second idea as to why Shakespeare is being stripped of his title of The Bard is because of a curious sense of snobbery/elitism. How can this "glover's son" be smarter than the earls and dukes and viscounts at Court? Well, power and a wealthy background doth not a bright man make: just ask George W. Bush. A humble background doth not makes one an idiot: just ask Abraham Lincoln. The people who support anyone but Shakespeare don't want to believe someone from a lowly background can have such great insight into humanity. Someone more educated must be wiser. Hardly the case, I'd argue. My love for Shakespeare is unending. My belief that William Shakespeare wrote William Shakespeare has not been disproved. I have full faith that in the end, the Sweet Swan of Avon will not be displaced by that rakish nobleman the 17th Earl of Oxford or by anyone else as the ultimate in English literature.